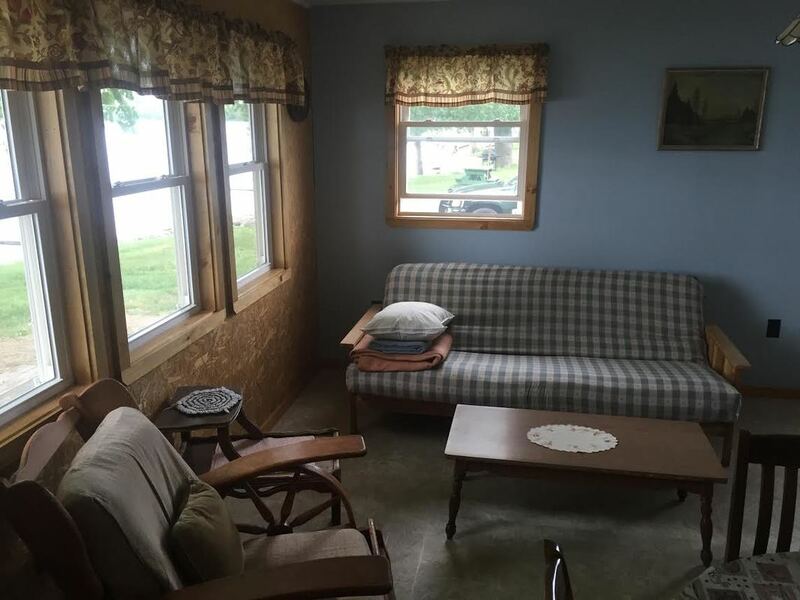 We offer two bedroom lake front and lake view cabins that typically sleep 4-6 guests max. Our rustic and cozy cabins are ideal for fishing trips and family reunions. Each cabin has a full kitchen, coffee maker, toaster, pots and pans, plates, cups, and utensils, as well a a microwave. Guests are required to bring their own linens and towels. Sorry, no WiFi or cable. We rent cabins by the week from Memorial weekend-Labor day weekend, Saturday-Saturday. Check in time is 2 pm and check out time is 10 am. A two night minimum stay is required for off-season stays. Days and times for check in and check out vary for daily rates. Please inquire when making the reservation. Reservation inquiries can be made by phone or email. A deposit is needed to keep the reservation, we accept cash or check only. Deposits must be made to hold a reservation. Guests must inform Campbell's Bay about their exact group size, if they are bringing a pet, ordering cords of wood, or reserving a boat prior to their check in date. Pets must be restrained at all time. Campers are responsible for their pet's actions and noise levels. Fires are to be built in the provided fire pits or rings only and must be contained. When you reserve weekly, Campbell's Bay will automatically hold that same week for you the following year. Weeks are based on the first Saturday of the calendar year. Guests must contact us by February 28th to keep their reservation and deposits must be in by March 15. Please call Kiley or Ian Campbell at 802-868-0405 or email us at campbellbay2@gmail.com. We do work out of our home, so it is common that we are not always in the home. Please leave a detailed message and someone will contact you that day.